First and foremost, what is solar energy? hot water or hot air for heating. 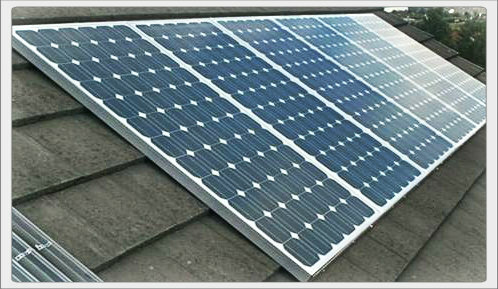 Solar photovoltaic (PV) systems use photovoltaic (PV) cells to convert sunlight directly into electricity. Solar energy is the wave of the future and we know that getting started can be a daunting task. We have learned from trial and error but have come to learn the best ways for getting the best out of your panels. This workshop is 2 hours in duration. 270,000 pounds of carbon dioxide, the primary greenhouse gas. 1,250 pounds of sulfur dioxide, the primary cause of acid rain. Producing more solar electricity than your house consumes is technically possible, but it doesn’t make financial sense for most people. So it’s a common practice to size an array to all or part of the average annual household/facility demand for electricity. Keep in mind that we’re talking about a grid-tied solar system. Think of the utility grid as your battery backup, absorbing your excess solar energy and providing when the solar isn’t producing enough. A grid-tie system meets your demand on average; an off-grid system has to be designed to meet your peak demand. That is on many people's minds today. If getting rid of your utility bill altogether is your goal, then what you really need is a battery bank. Solar is a good way to do that, and can be used in conjunction with other forms of renewable energy, such as wind or a micro-hydroturbine, as well as a generator. But now it’s the battery bank that has to be sized according to usage, with the solar array being sized to the battery bank. If your goal is power during a power outage, then you don’t need solar – you need batteries, or at least a UPS (uninterrupted power supply) for computers and other specific equipment. And you can use the grid to charge them, but solar panels are often installed to do that. Solar systems are priced by the watt of installed capacity. That's based on the rating of the panels, which expresses how many watts of direct current they produce at standard test conditions. It's a handy way of talking about an array and sizing its components, but its not the same thing as how many kilowatt-hours of alternating current it will produce or even what the arrays output will be in actual use. The installation price of solar systems has come down drastically in the last 40 years, primarily driven by the declining cost of the solar panel themselves. As conventional silicon PV technology matured in the first decade of the 21st century the installed cost per watt finally hit single digits. And as demand increases, economies of scale will drive the cost down further. We will come and estimate the size of your home to help you decide what the best system is for you. If you are in a good location for solar.